Keep your Nord synthesizer protected on the move. The Nord Soft Case is the perfect solution for storing and transporting your synth. The soft case features a plush interior with thick padding, protecting your synth from superficial damage. The case protects against moisture, scratches and bumps whilst on the move. A mid-sized zippered pocket on the lid of the case provides space for accessories. Here you can store cables, power supplies and more. 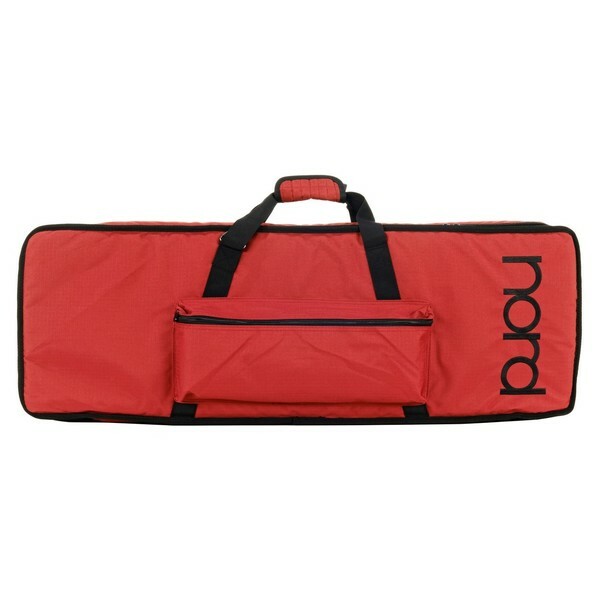 The Nord Soft Case for 61-Note Keyboards is a highly durable transport case for a range of Nord synthesizers. The integrated carrying handles make it easy to transport form place to place. It also includes a shoulder strap and two backpack traps for added flexibility. This gives you a range of ways to lift and transport your synths. The signature red finish complements your synthesizer colour scheme, emblazoned with a Nord logo.